Our Founder, William Avon, LUTCF, has a background in insurance, business and marketing dating back to 1996 after graduating with his Bachelors Degree in Business Administration and Marketing. He worked for a large insurance company as a personal lines agent taking Regional Life Rookie of the Year, Lamp Lighters Award, 12 out of 12 Pacesetter Awards, in addition to winning many other regional and national awards placing 1st and 2nd on a regular basis for effectively taking care of his clients. The William Avon Agency, LLC specializes in protecting lifestyles through proper planning and effectively utilizing our mortgage protection, life, health and property & casualty product lines. William conducts many seminars for the general public as well as corporations and associations to promote safety, security and consumer awareness. Isn’t This Your Ultimate Goal? You don’t have to be “insurance poor” in order sleep well knowing you are insured with well rounded protection along with a financial growth plan to help build your future. We are about working to help you achieve peace of mind. If that only entails a properly covered auto policy or all the way through additional income strategies, we work to help you accomplish just that. From your first car, to your second home and on through the yacht you’ve always wanted. Our group of top rated carriers, experienced agents, underwriters and claims adjusters are here to make your experience simple and complete, yet as easy as possible. Coming home to find you’ve been burglarized, is disturbing enough. Having people to help you get back on track is what we do best. Working with you person to person, understanding your needs and helping you get through it. The most valuable and irreplaceable ‘assets’ you have is your family. Becoming disabled from an accident that wasn’t your fault. Falling critically ill from cancer, stroke or a heart attack even though you feel you are too young for that to happen to you. Or worse yet, losing a loved one. These are all issues people face everyday and are hard enough without the extra financial burden that comes with them. Protecting your finances to take care of your family is as important as insuring your home against a fire. In today’s economy, having multiple sources of income is becoming an integral part of a solid financial plan. Sources may be from a home or small business, income from investments, various partnerships and the list goes on. People who struggle today or are living paycheck to paycheck are the one’s whose lives turn upside down at the slightest fluctuation. Combining the experience of growing the agency, building businesses, working with entrepreneurs in a variety of industries as well as forming strategic alliances has afforded the opportunity to help clients add multiple streams of income and enhance their lifestyles. The fear many American’s have is waking up retired and having more life left than money. Planning and building for your future is often overlooked by the mindset that you need to pay today’s bills. I can’t worry about tomorrow, if I can’t afford today. With proper planning for both today and tomorrow, that fear can be dispelled. Proper budgeting, increasing your income, reducing expenses, adjusting your lifestyle or sometimes a little hard love with family members is needed to look out for and protect your future. Our teams can work with first time planners through advanced estate planning and asset protection strategies. Can I just get a simple insurance quote? ABSOLUTELY! How extensively you work with us is completely up to you. We’re glad to quote your life insurance by itself or work on a full protection and income generation plan. We work for you, so the choice is yours. How fast can I get a quote back? On the same call depending on what we are helping you with. If its term life insurance, we can provide quotes from many top carries with the click of a few buttons. For higher end commercial products, we send them out to multiple carriers and work with you to find a program that meets your needs. Do I need a lot of money in the bank to build my future? No. You can start building your future at any income or financial level. The key to securing your future is not waiting. We can help you put a plan in place, but you need to pull the trigger to implement and work it. It’s never too late to start, you just have to start. Insurance is confusing and boring to me. Will this be difficult? We make working with us as simple as possible and will guide you every step of the way. Once we understand your needs, we’ll take care of as much behind the scenes as possible. Some items such as mortgage protection insurance can be taken care of start to finish in one phone call. IRA Rollovers take a bit more work, but not to worry, we have everything laid out A-B-C.
We make doing business simple. Work with us by phone, fax, email, online, screen share, webinar, conference call. Communication is key. We make it convenient to fit your lifestyle. Insurance and financial planning isn’t a daily topic in most households. Rules change. New laws are made. Your neighbor gave you wrong information they were ‘sure’ about. We help clear the confusion and keep to the facts that affect you. 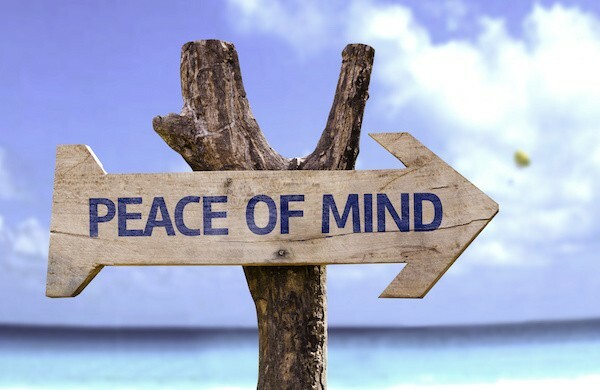 Enjoy the peace of mind knowing your assets and finances are being insured and serviced by well known, highly rated carriers who are on top of their business. Often times friends will tell you their carrier is easy and cheap. The real way to evaluate a carriers worth not when you pay the bill or call to make a change, but at the time you need them most… filing a claim. We stay on top of client feedback to work carriers to make the grade. With over a decade of personal insurance experience, two decades of business experience and a group of professionals that span much longer than that. The answers to solve your specific needs are always close at reach. With my own name being on the agency you can rest assured I will work hard for you as my reputation and name is behind everything we do. Now this doesn’t mean I can talk carriers in to paying a claim where you decided not to purchase coverage, let’s be real. It does mean I’m here for you, to work with you and be sure you understand your options, so you can make the best decision for you and your family.